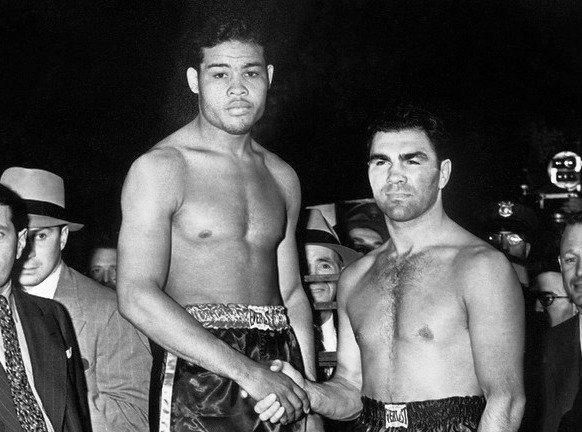 Former world champion Max Schmeling was a solid 10-to-1 underdog when he faced rising contender and awesome knockout artist Joe Louis in a major heavyweight showdown in June of 1936. 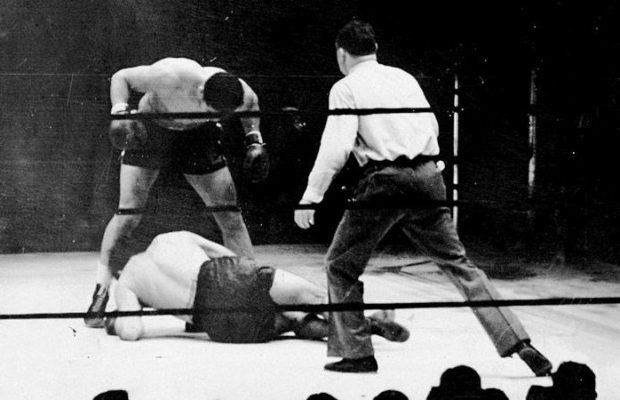 A huge crowd in Yankee Stadium expected to see the veteran humbly fall to the undefeated contender who was viewed as unstoppable, but instead Schmeling shocked the sporting world when he dominated “Joltin’ Joe,” landing a long series of hard right hand counters before putting Louis down for the count in round 12. 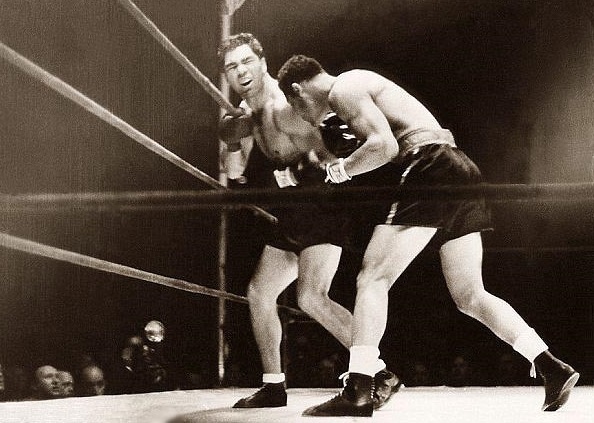 But a year later it was Louis, not Schmeling, who received a shot at the world title. “The Brown Bomber” had rebounded with seven straight wins including a knockout over former champion Jack Sharkey, but no doubt the main reason Louis, instead of his conquorer, received a chance to fight for the championship, was politics. As a citizen of Nazi Germany, no one was anxious to give Schmeling another chance at the world title while the hated Adolf Hitler was threatening the world with his fascist ideology. 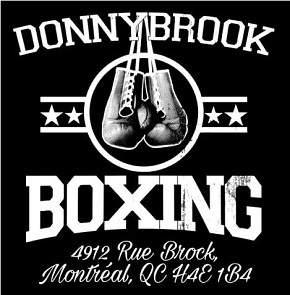 Instead Louis got the shot and he left no doubt as to his worthiness when he scored a clean knockout over James J. Braddock. A dazed Schmeling turns his back on Louis. 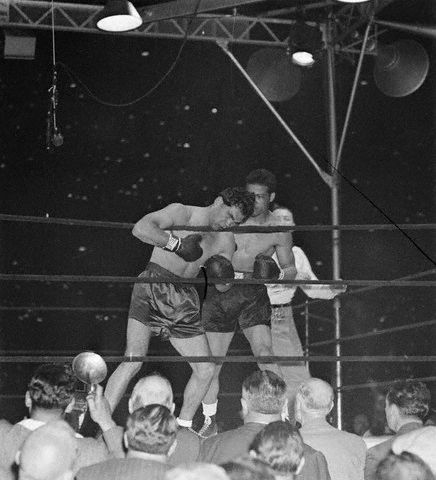 Louis did not rest on his laurels as he waited for a return bout with “The Black Uhlan of the Rhine,” taking a decision over tough Tommy Farr just two months after becoming champion and then knocking out Nathan Mann and Harry Thomas. Finally, a rematch with Schmeling was signed and set for June 22. It was the fight Louis had been waiting for but, as everyone soon learned, it was one sports fans were also anxiously waiting to see. The political backdrop for the match was impossible to ignore and in the years since it has come to be viewed as one of the most significant sporting events in world history. Tickets sold at a record pace. The top price for ringside was set at $40 and organizers quickly realized it was far too low. A week before the battle the promoters knew they had a million dollar gate. On fight night over seventy thousand crammed into Yankee Stadium after all the “rush” tickets had been sold. And to think the main event was all over in just two raucous minutes. The rematch was a rout. The story of the fight is simple: Louis ambushed his man. Seconds into the opening round, Schmeling, his right hand cocked, backed off from the stalking champion and “Joltin’ Joe” pounced. A fusillade of hard shots rained down on the challenger, principally heavy left hands, and maybe a dozen landed cleanly, Schmeling’s head snapping back and forth. 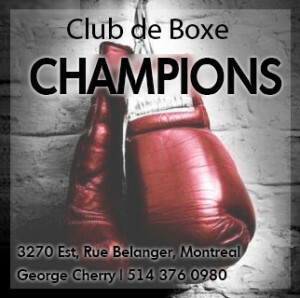 Then the champion brought over his first loaded right cross and the challenger sailed backwards into the ropes. Right there the match was decided. The fight was not even a minute old and Schmeling was stunned, rendered almost defenseless. Dazed, he reached for the top rope as Louis moved in for the kill, the young champion letting fly with fearsome punches from both fists, the blows sinking into Schmeling’s flank and back. 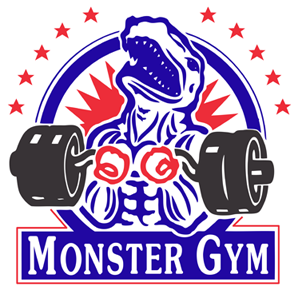 Some ringsiders later said they heard the challenger scream in terror as Joe pummelled him. The hugely anticipated battle is over in just two minutes. Schmeling fell, but immediately rose. A right to the head sent him down a second time. The former champion was so hurt and confused he didn’t wait for a count and quickly scrambled to his feet as if hoping no one would notice he’d been floored again. Then came the finishing combination, a powerful left hook followed by a devastating right. 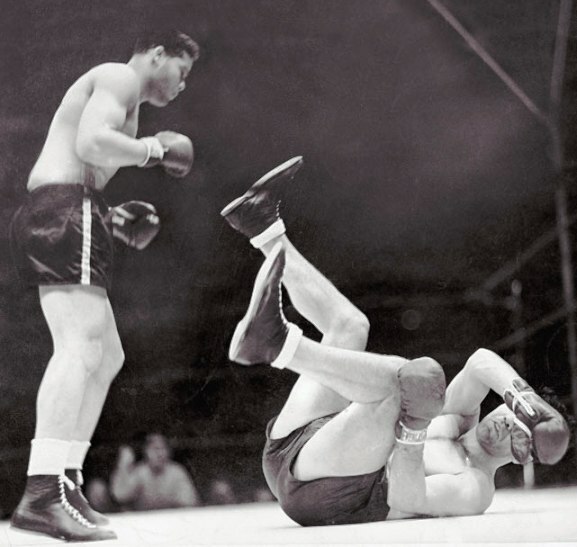 Schmeling crashed to the canvas as a towel from the challenger’s corner sailed into the ring. 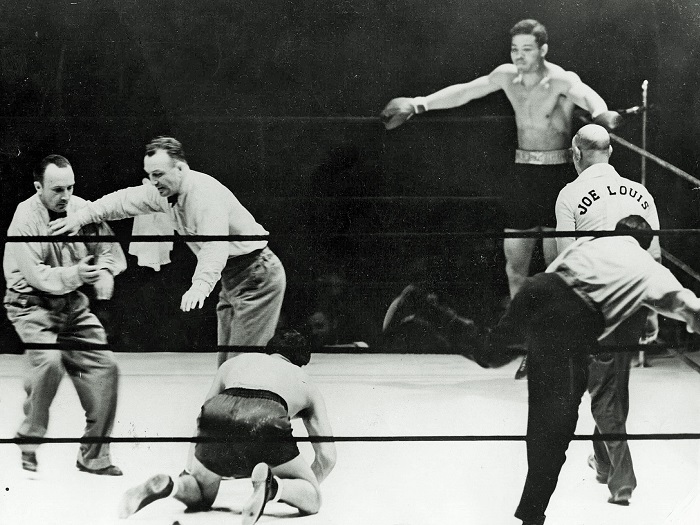 Referee Arthur Donovan ignored it and administered his count but the German challenger could not rise. The massacre was over at 2:04 of the first round. 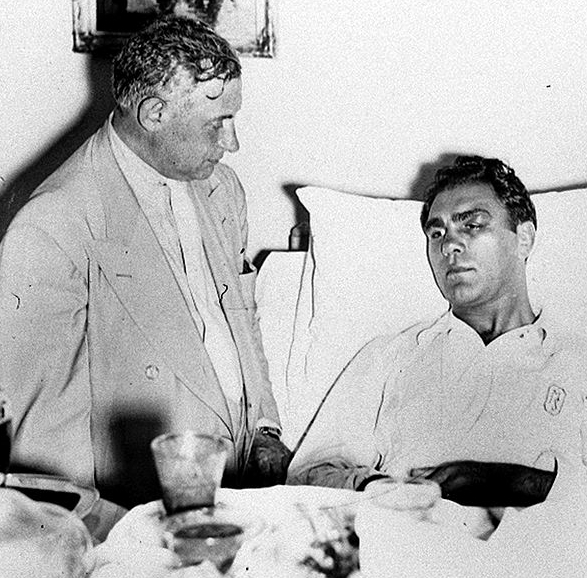 After the bout, Schmeling was visited in the hospital by his manager, Joe Jacobs. With an awesome display of heavyweight power, Joe Louis erased his defeat to Schmeling, made it seem like some kind of strange fluke, a phantom, and asserted himself as the most awesome, powerful and awe-inspiring champion of the big men since Jack Dempsey.